Dojo literally means “place of the Way.” The word is a translation of the Sanskrit term “bodhi-manda” which refers to the “Diamond seat,” where Gautama attained nirvana sitting under the Bodhi tree. Thus, Dojo originally meant “a place where Buddhism is studied.” Kendo is not Buddhism, but because of the deep spiritual connotations and ascetic training of the self in search of a higher plain of existence, the same term was adopted to mean “a place for studying the martial arts.” The quaint wooden-floored Dojos that we are familiar with now didn’t exist in Japan until around the late-1700s. Before this, martial arts training was mostly conducted outside on the dirt. Over time, Samurai took their training inside their homes in the hallways or on earthen floors, and then ultimately in specially designed rooms. They were never very big or spacious like many of the Dojos one encounters in Japan today. 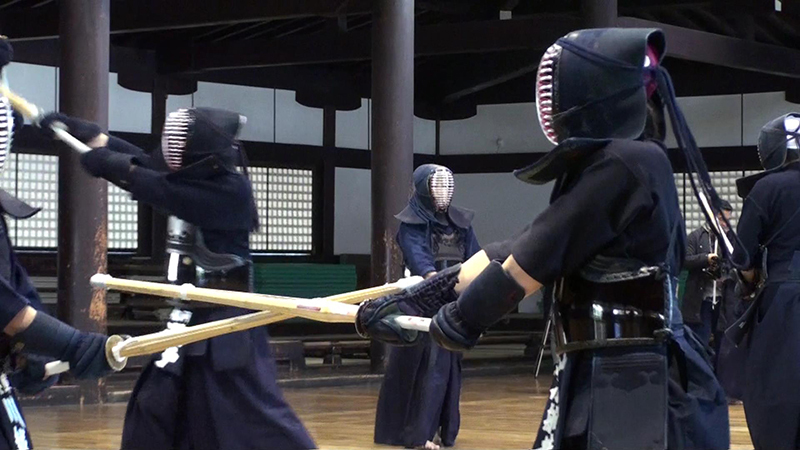 Nevertheless, Kendo is rarely conducted in specialist Dojos in Japan these days. Most of the time, clubs will hire venues such as gymnasiums or school halls for training. Basketball court by day, Kendo floor by night… Like Cinderella at the ball, once Keiko is underway, the shared space transforms into a magical Dojo with strict rules guiding deportment. When it’s all over, that bouncy pumpkin returns to scuff the floor again. Sports gym or not, according to the Japanese Budo Association’s Budo Charter, “the Dojo is a special place for training the mind and body.” The Budo practitioner must always be disciplined and respectful, and it must be kept “a quiet, clean, safe and solemn environment.” This means, taking your shoes off and placing them neatly in the shoe boxes at the entrance, and removing your hat and headphones before going in. Always bow deeply to the Shomen when entering and exiting. Keeping the Dojo floor clean with wet rags and mops is considered an important part of learning the Way of the sword… It’s analogous to keeping your “heart clean”. 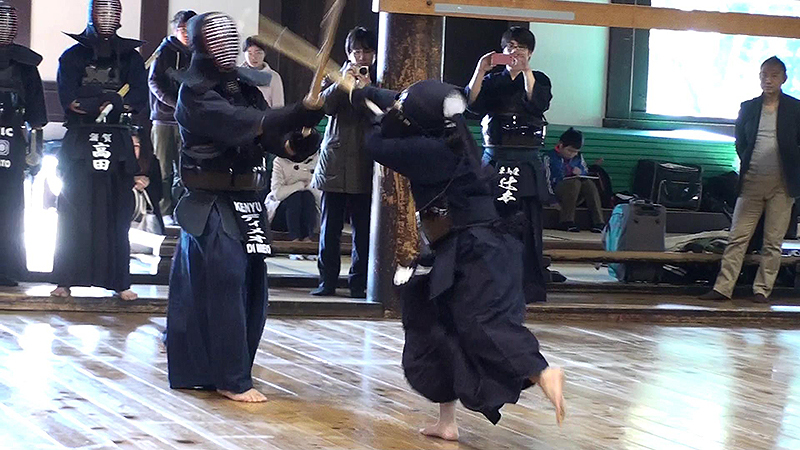 The list is exhaustive, and protocols are fastidiously adhered to in the Kendo training environment. But, there is one thing that makes a real Dojo and an improvised one different. That is, THE FLOOR. Dojo floor construction is a martial art within a martial art. The perfect Kendo places little burden on the feet and knees. Withstanding the constant pounding of thousands of stamps each day, it rumbles like a taiko concerto. In fact, some of the old Dojo floors have large ceramic pots placed strategically under the sprung floorboards to accentuate the booming sound. Alas, town planning byelaws don’t encourage this anymore. As much as it is music to the hardened Kendoka’s ears, neighbours don’t appreciate the cacophony of screams and bamboo clashes underpropped by the low blast-beat base sound coming from the floor. Too bad. 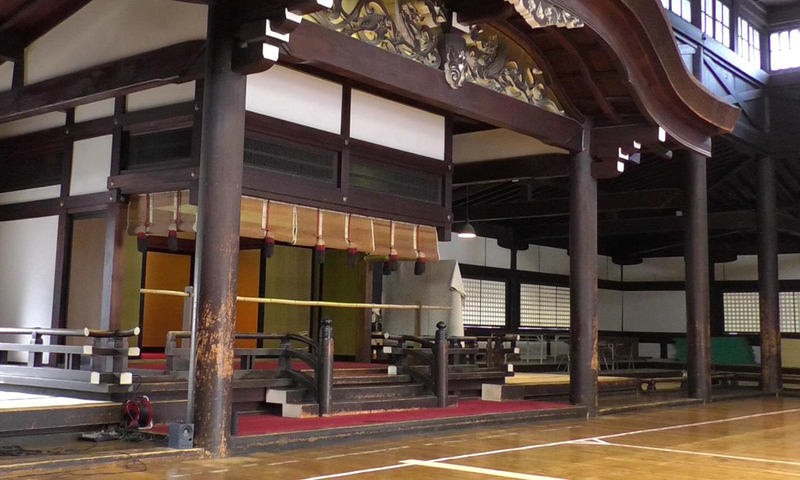 Most Kendo venues outside Japan are not made with such aesthetics in mind. Dance floors are an enjoyable exception, but almost all floors where Kendo is practiced—even if they happen to be wooden, which they often aren’t—were built to withstand the rigours of shoed athletes. They are varnished to ensure the athlete does not slip as he/she leaps sky high to nail that “Alley-oop”, and provide little give on the landing. Perhaps, floor-makers work in cahoots with sports shoe manufacturers; cushion is contingent on how much you want to splash out on a pair of pumps. The specialist Kendo dojo, however, will usually be made from naked Hinoki (Japanese cypress) or Sugi (Japanese cedar). Pine is also an option in Japan these days, but cypress or cedar are preferred. Cypress has less give than cedar, so the latter is generally favored. Legendary Kendo master, Nakayama Hakudo, once said, “Hinoki is great wood for a Kendo floor, but it gets very slippery during the winter which leads to bad striking form. 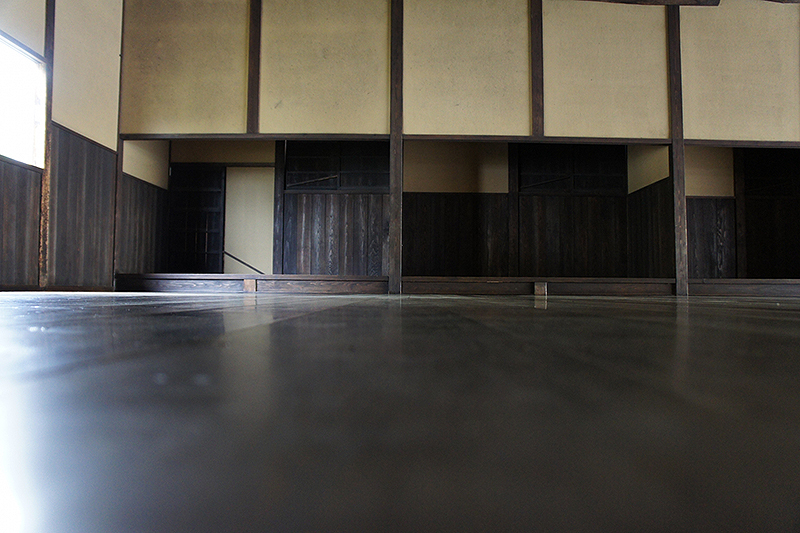 The ideal Dojo floor will be made of old Sugi boards around 3cm thick.” This way, he argued, the floor will last a long time, have just the right amount of slide, and will look really cool. Another advantage of Sugi is that the boards will not warp over the years. This means cheaper maintenance costs. Furthermore, the natural oil in the wood takes away the need to add a synthetic covering, thereby retaining the elasticity of the timber, and the perfect amount of glide factor. This makes the floor safe. There will be less torn calf muscles, snapped Achilles tendons, and sore knees (touch wood!). Besides, the natural aroma of cedar smells very, very nice. 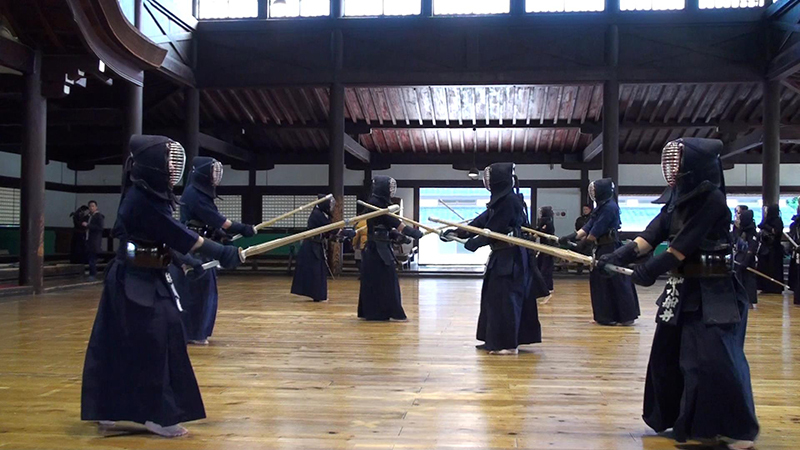 The only problem with training on the perfect Kendo floor—like the Butokuden in Kyoto—is Kendoing anywhere else becomes somewhat frustrating. It’s like getting that one-time lucky upgrade to business-class on a long-haul flight. Once you’ve seen how the other half lives, going back to economy-class is nothing short of painful. It’s remarkable how much a substandard floor (which is standard these days) screws big time with your Kendo. First, your footwork goes out the window. You have to fight a strange inhibition preventing you from going forward. Your maai gets closer, and your strikes weaker because your hips get left behind. You also feel your leg muscles and tendons straining to a worrying degree. What should be a smooth follow through after the strike becomes short and jerky. Not to mention the higher occurrence of painful stone bruises on the right heel… Indeed, the dojo floor is a crucial element in understanding many of the teachings in modern Kendo. 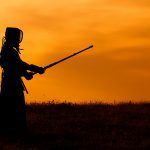 What made you take up Kendo? 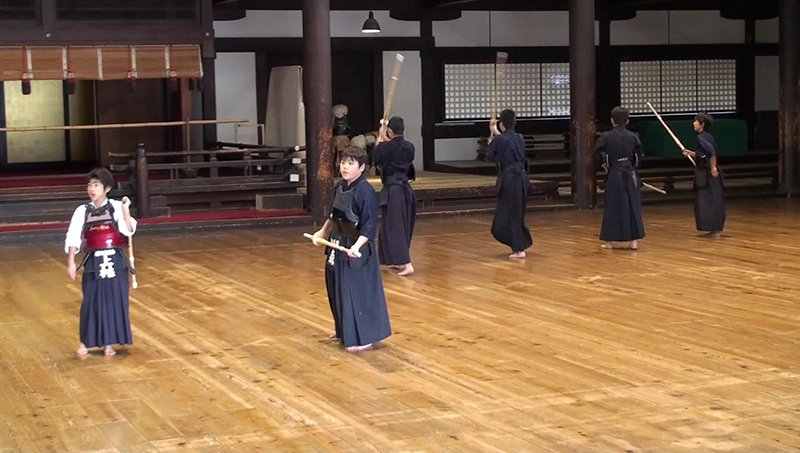 2014/08/22 – Introducing New Tozando Shinai series! 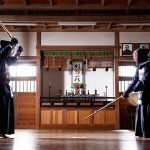 PREVIOUS POST Previous post: What made you take up Kendo?